Khichdi is a very popular one pot meal. 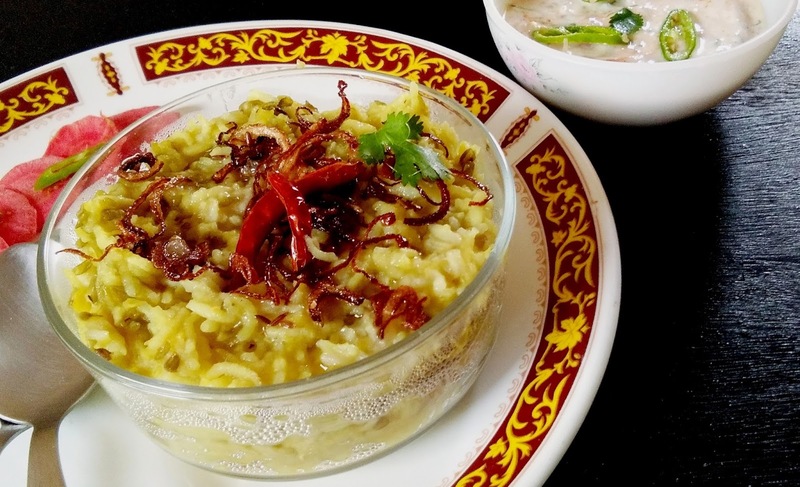 khichdi is a simple and comforting food prepared with lentils and rice, vegetable can also be added if desired. 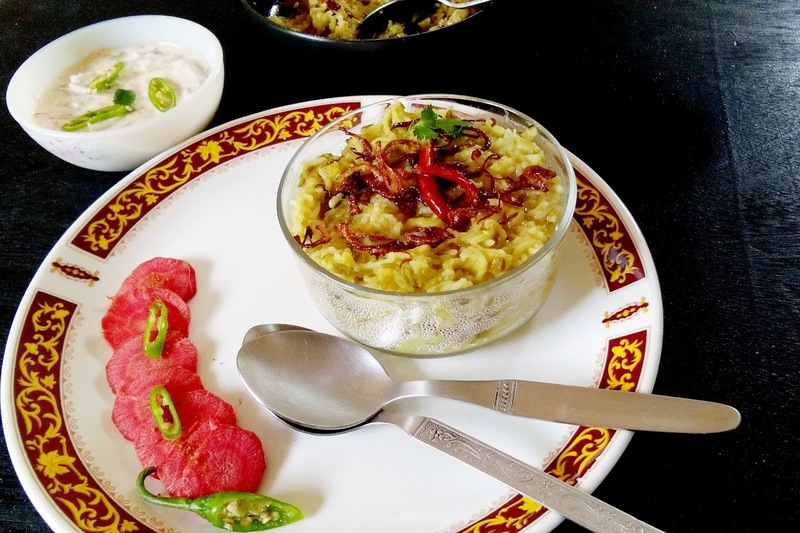 Every house hold has their own recipe for khichdi. It is highly nutritious food for heath. Clean, wash and rinse dal and rice thoroughly, soak it in enough water for 15 minutes. Now add rice and dal to a pressure cooker or a heavy bottomed pan and add 4 glass water and allow to boil. After a boil remove the dirt that comes on the top, add salt, turmeric powder,cloves and heeng. Reduce the heat on sim and cook the khichdi till the rice and dal becomes mushy in texture, switch off the gas. Heat ghee in a pan add cumin seeds as they crackle add sliced onion and fry until golden. Add broken red chili and turn the heat quickly. Before serving pour the tadka on khichdi. Garnish with some tadka, serve hot with raita, salad, pickle or chutney. दाल और चावल को साफ़ करके धो लें और पानी में भिगो कर १५ मिनट के लिए रख दें. प्रेशर कुकर या भगोने में ४ ग्लास पानी के साथ चढ़ा दें एक उबाल आने के बाद ऊपर आयी गन्दगी को निकाल दें. हल्दी पाउडर, लौंग, हींग और नमक डालकर धीमी आंच पर २० मिनट या फिर पूरी तरह से गल जाने तक पका लें.